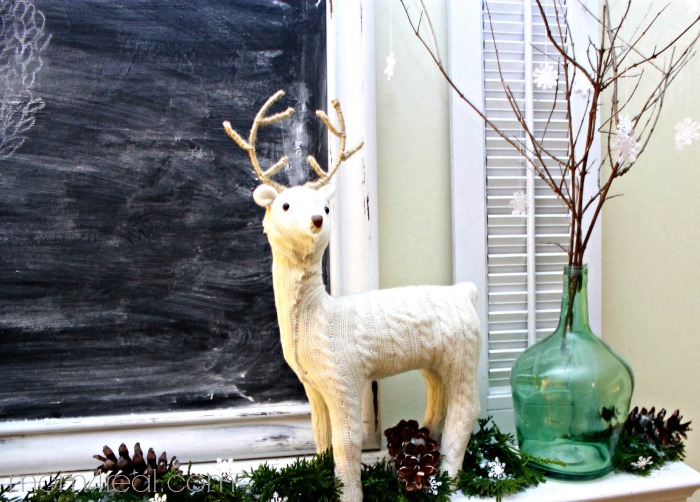 This year, I had dreams of putting together a Winter Wonderland in my living room. I got started early and decorated my breakfast nook just that way, all silvery and white, and love it, but decided to go in a different direction all together in my living room. I wanted something just a little more natural, and not as sparkly. I know, gasp! Did I say not as sparkly? While Kate and I were shopping at Target, I found this sweet sweater deer, and just knew it I would be decorating my Christmas mantel around the little fellow. I placed him up there while it was still decorated for Fall, and left him. I knew when the time was right I would know what to do. I kept thinking, I really don’t want to change it all that much, which is really odd for me…I love change! I decided to leave it mostly as it was, because truly, I love the white shutters and aqua vases with twigs that flank my huge chalkboard. Do you know that this chalkboard used to be a mirror? You can see how I transformed it —-> HERE! Anyhoooo….I wanted to go somewhat natural, so I went out back and started snipping some branches off of my arborvitae bush (you know, those skinny cone like pine bushes everyone has in there yards). 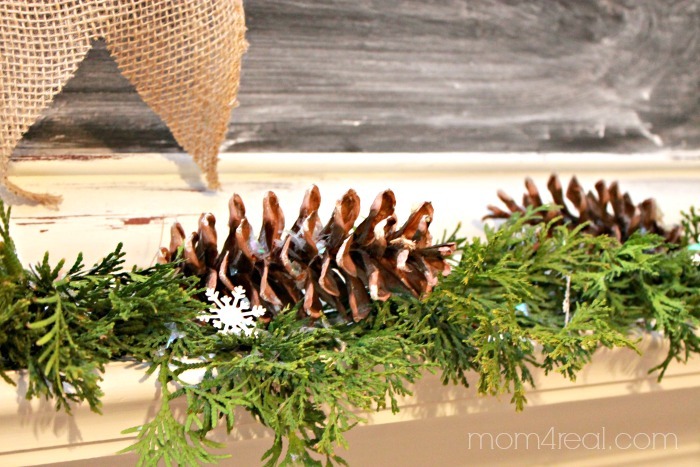 I draped them all across the mantel and tucked in some beautiful pine cones that my sweet mama picked up for me on the side of the road. She is always finding me the best stuff…she is awesome like that…love you, Mom! I dusted some sparkly something or other across them and tucked in little paper snowflakes that I cut out using my Martha Stewart snowflake punch…it’s so handy! I also used a some white thread and strung those little paper snowflakes from the branches in my vases. I think it makes it look like it is snowing in the woods…okay, well, I think it’s cute. Then I had to do something for the chalkboard. I just didn’t know what. I decided on a boxwood wreath. I traced a big round platter I had then simply chalked little leaves all around it. 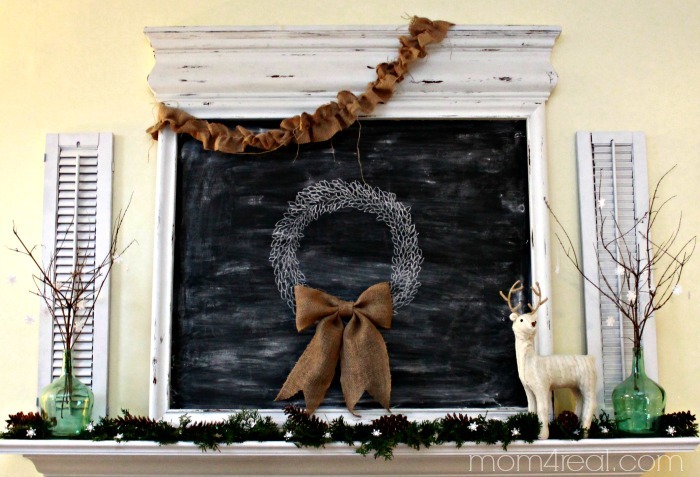 I put together a little burlap bow and hot glued it right to the chalkboard at the bottom of the wreath and stepped back. All done for now! I honestly think that once I get my real boxwood wreaths from Trader Joe’s I may erase the chalked wreath and hang a real one. I love real greenery so much, and last year, I had the cutest Wine Cork Monogrammed Boxwood Wreath hanging on my front door…I want a gazillion of them! 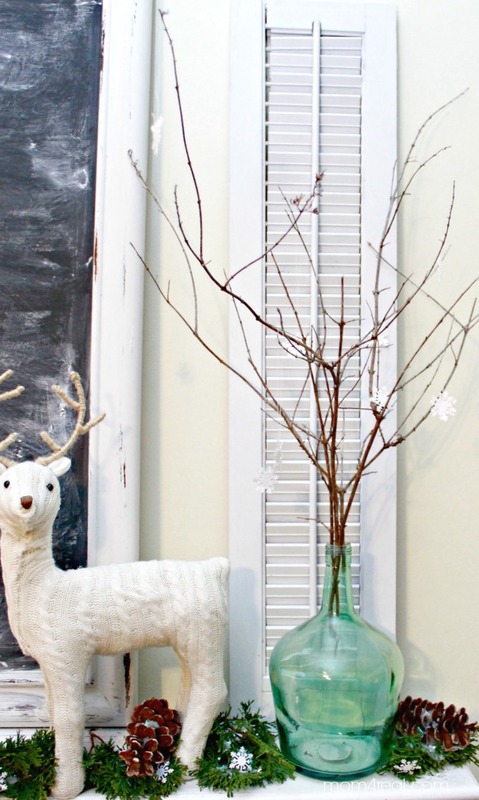 Need a little more Christmas inspiration? My good friend, Cheryl from That’s What Che Said is kicking off her 25 Days of Christmas, and I get to celebrate the first day with her! 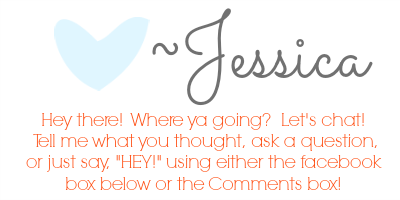 Hop on over and take a look around! You will want to keep checking back every single day, because I saw the lineup for this series, and there are some really awesome bloggers joining in and sharing their Christmas crafts, decor, printables and recipes. 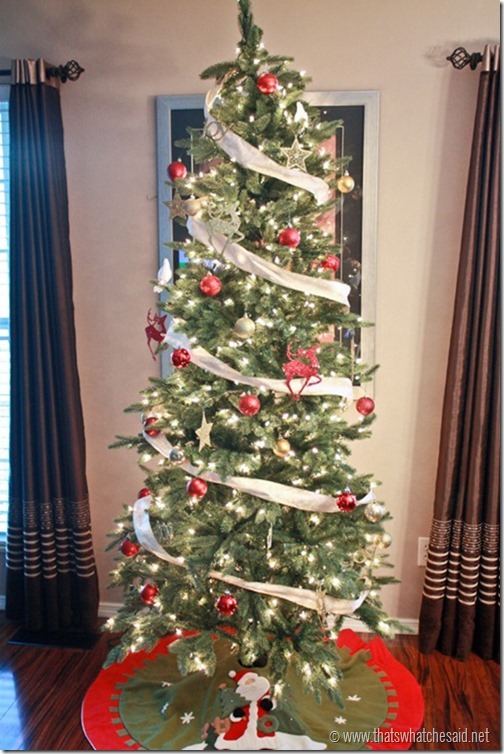 Cheryl is kicking off the series with her gorgeous Christmas Tree Decor, so go check it out! Be sure to see all kinds of Christmas goodness by following my Christmas Pinterest Board Below! 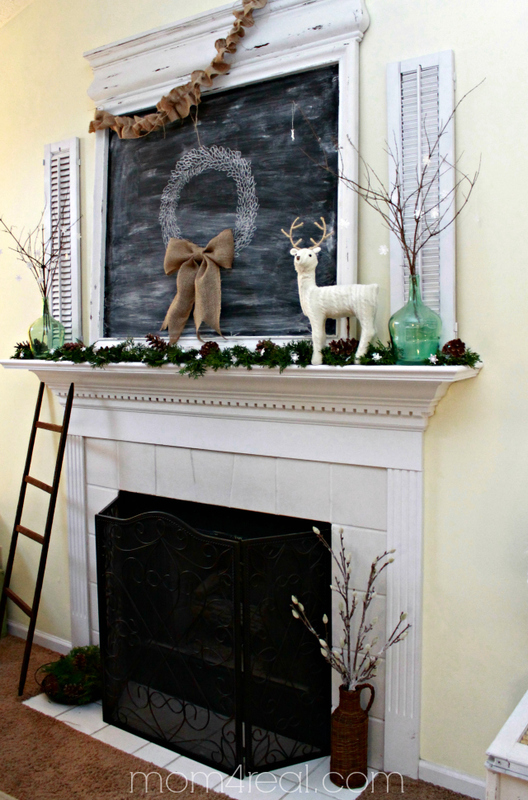 This mantel is so pretty Jessica- I love the crisp simplicity of it!